Memorizing the Qur’an should be one of the goals of a Muslim. Each and every one of us should have this deep desire to become a hafidh and work towards it InShaAllah. This is irrespective of our age. It is a wrong notion to think that one can memorize the qur’an only at a very young age. It is true that it could be easier when one is young, and for that, inshallah, we should encourage young children, whether your siblings or kids, to memorize the qur’an. As for us, come up with a plan, and start immediately, without procrastination, without further delay, and with istiqaama (steadfastness). 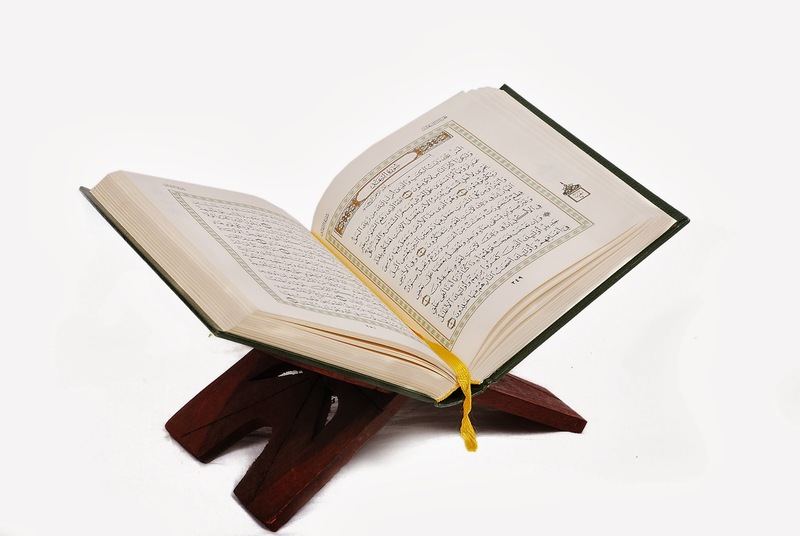 Imagine that more of us become carriers of the qur’an, the guidance to our life. Surely, the status of our Ummah would rise, due to the establishment of a stronger connection to the words of Allah. So, this is our duty as a Muslim. This will help us in boosting the level of eman more than we can imagine. Subhanallah, isn’t it the privilege of our ummah that no other nation before us enjoyed, that we actually have the words of our Lord preserved, that Allah has made the understanding and learning of it easy upon the person who strives towards it?! So, shouldn’t we show gratitude to Allah for this blessing! 1. The First and Foremost, Sincereity and Ikhlaas: The niyyah that we are making is sincere effort only for the sake of Allah, only to seek His pleasure so that inshallah, with His mercy, we will be rewarded in the akhirah. And that it is not to show off in front of others that we have memorized a lot. It is very essential to be consistent, and not to skip even one day. Our brain, soul and mind need consistent feeding to work more efficiently and with ease. It is just like how machines need constant lubrication and care, and the machines that is not used more often, starts to rust. And the car that is not used more often starts to give problems. Taking a break can slow down the process, as our brain is programmed in such a way that it needs new raw materials in order to make strong the older ones. And if we do skip a day, then shaytan squeezes himself through and tries to discourage you the next day, and then ultimately, it comes to a complete halt. The bare minimum that one should memorize is at least 3 lines, five is more ideal. 3. Timing: Early morning after fajr salah is the ideal time, as Allah has blessed the morning hours the most. This, I am sure, all of us agree upon, that it is the morning hours that we are able to get most work done. And even to study, it is the ideal time, as your mind is free from other thoughts since your day is just beginning. Whereas, in a later time of the day, there is more chance that your subconscious mind is preoccupied with other thoughts like who you would have met, the dialogue that took place, the food you had was yummy, and other things that you would have done. Personally, I feel that even if this time of the day doesn’t work out for us, we can dedicate some other time- just that we will have to work harder and longer- and Allah knows best. If it usually does, and for some reason, we miss it one day, we should make some time in the later part of the day, and still keep up with the consistent flow. It is more important that we do not skip a day. 4. Atmosphere: We should try our best to avoid all kinds of distractions like phone calls, children, munching on some nuts or crackers during this time. This again takes us back to the previous point where the morning hours are the best, since there is less distraction at that time. 5. Familiarity: This is more of a psychological advantage. So use the same mushaf (quran), listen to the same recitation, sit to learn in the same place and same time. This way, the brain will relate better. Like for example: the advantage of using the same mushaf is, the part of the brain that is responsible for vision records it, and we will be able to remember this stored vision where a particular word comes, where a new ayah begins etc. 6. There are no tricks or short-cuts. It is just repetitive recitation and/or listening that will help to memorize. 7. Understand what you memorize: read the translation before one starts, correlate some words. We do not have to necessarily try to learn the entire tafsir, but we need to have some idea. Tafsir should be learnt at a different time so that we can achieve this goal of becoming Huffadh in a shorter time. And then when inshallah, that happens, we can learn more deeply into the tafsir of the Qur’an. 8. Surround oneself with recitation: Keep listening to what one is currently memorizing. 9. Find a memorizing buddy: This will be a huge encouragement for each other, and this will add a psychological pressure that we have to recite to each other what we learnt. 10. Recite daily in Salah, and at all times that you can, what you have memorized most recently. b) Revision of the previous 7 days, just before you start the new memorization: This is because the fastest thing you forget is the new memorization. And doing so, will also build the connector between the old ones and the new portion you are going to memorize. Plus, it will be a good warm up for the brain when you recall from your memory and recite, before you go into the real exercise of doing the new memorization. c) At a later/another time of the day, revise those before the recent 7 days. The bare minimum should be 4-5 pages. 12. Do not jump around: When we feel a particular surah is tough, do not go to another. Stick to the order. That way, you will have the satisfaction of having completed a juz rather than leaving un-memorized portions here and there. I feel that after the last 2-3 Juz, we should start from Al-Baqara as the ayahs are much easier to learn, since there are madani verses (verses and surahs revealed after the hijrah of the Prophet ﷺ- makki verses are more poetic, very beautiful, and a little more complex, I feel. The Verses are shorter and so, more powerful), and hence, more eloquent, and it flows automatically and with more ease. It is from surah Al-Baqara where we start to read our khatm-al-qur’an from, and so we are more familiar with it. Extremely helpful tips and a very good effort. How to WIN in EVERY SINGLE ARGUMENT? Can I Hang Allah’s Name In My House? Must My Husband Pay My Zakah?